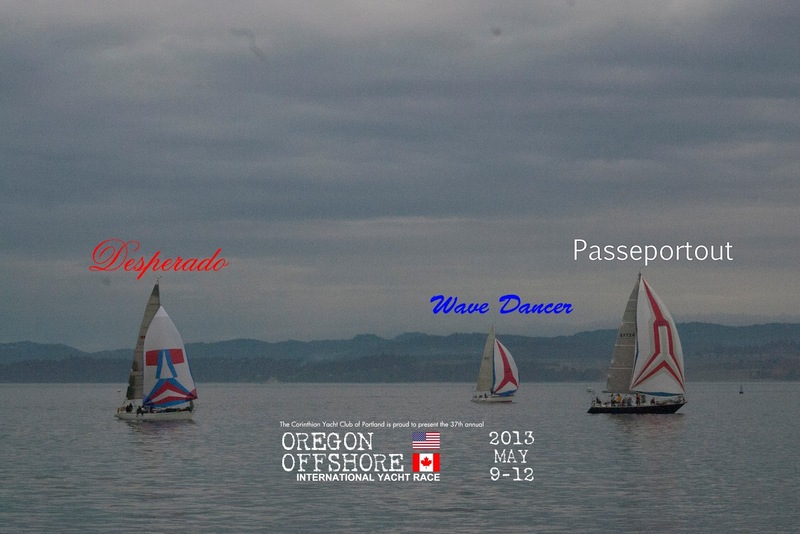 This Saturday, many of the Oregon Offshore racers will participate in the Swiftsure International Yacht Race, including this year's overall Offshore winner Anam Cara, and the First to Finish, Neptune's Car. 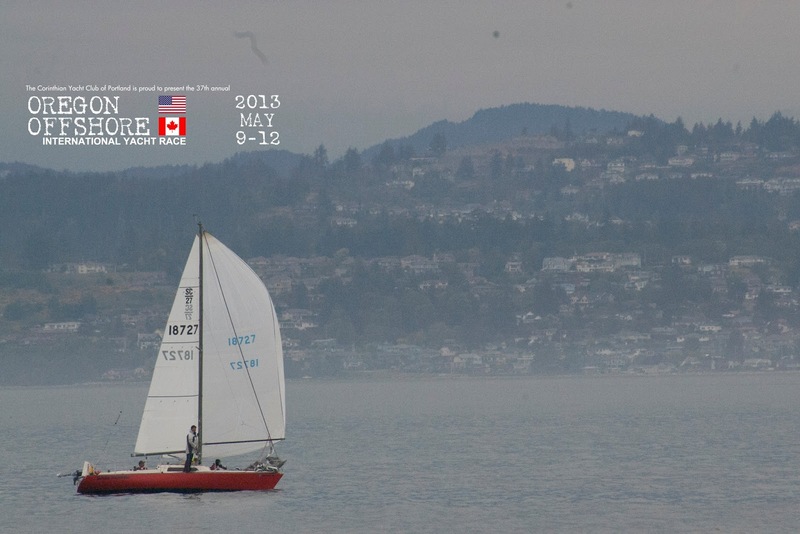 Over the next 24 hours, we'll watch the boats pile up in Victoria Harbour, and the first fleet is scheduled to start racing at 0900 hours Saturday, May 25. Good luck to all 191 boats! Track the boats here. 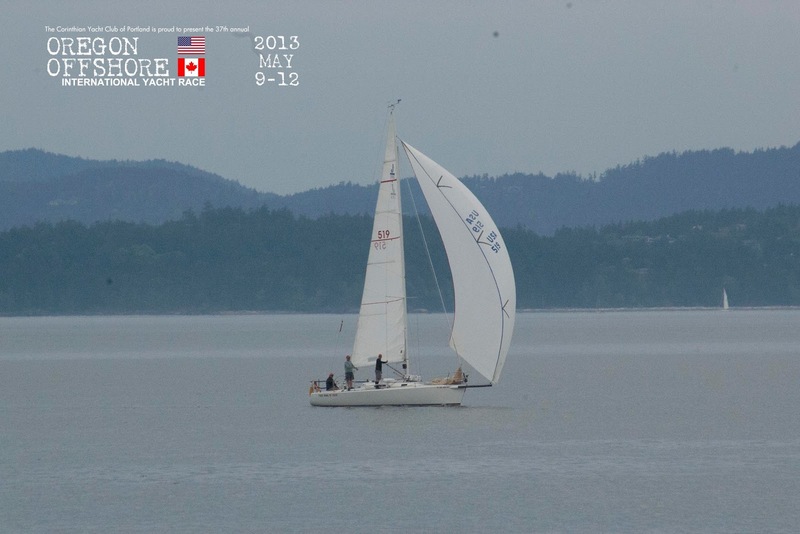 More info at 2013.swiftsure.org. Here are a couple links to a public Picasa album I created to share the photos I took during the Oregon Offshore this last week. There are two album links, one of my digital SLR camera pics and the other are pics I took with my GoPro. Arrival pictures will be uploaded later, as I have to get them from the hospitality crew. There are also a few pictures to track down after my memory card maxed out at the BBQ. Enjoy! While Supplies Last - 2013 Oregon Offshore Shirts still available! If you missed your chance to buy shirts at the Skippers' Meeting, we have a small number of shirts still available for sale in limited sizes. Also, there were a number of requests for long sleeve tech shirts and women sizes. If this appeals to you, leave a comment and given enough interest we'll consider a limited-run of a new Oregon Offshore t-shirt design. 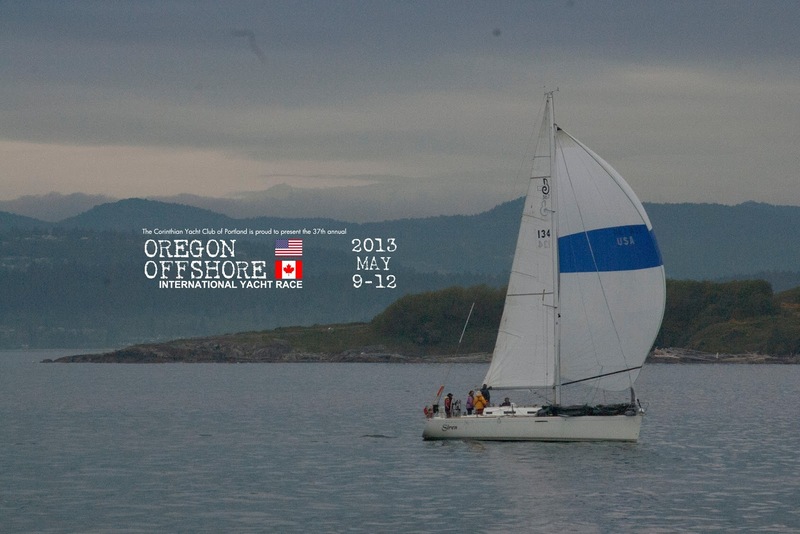 Well sailors, RC is finally back stateside with internet access again and here are your much anticipated final results for the 2013 Oregon Offshore! I have calculated both fleet and overall results. Cruising class times in these tables are the corrected times as Sailwave was unable to show our custom corrected time for motoring and finish times. I will include those cruising actual finish times below. 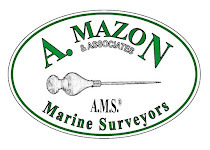 Thanks to all our competitors, sponsors, volunteers, Astoria Yacht Club, and Royal Victoria Yacht Club for coming together to make a truly awesome Oregon Offshore come together! I will get more photos up from the race for your viewing pleasure. Thank You! Congratulations to Paul LaMarche of Neptune's Car for being First to Finish, and to Tom Kelly of Anam Cara for winning First Overall! Souffle' is still off of Sheringham Point, so hopefully they are motoring towards Victoria. 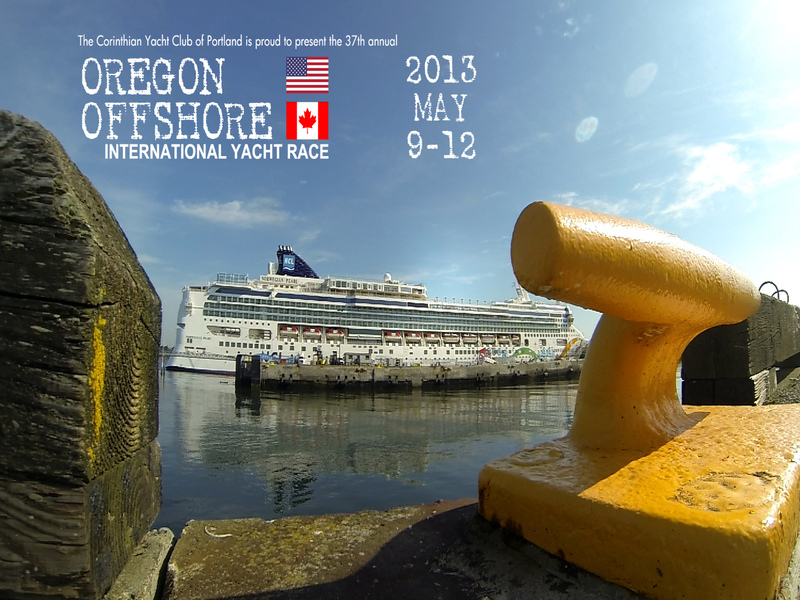 Thank you to all our 2013 Oregon Offshore Competitors! Velocity crossed the finish line around 2245 this evening. Bum's Rush, Freewind, and Kokopelli are all headed this way and expected in the next couple hours or so! Ion has finished and Velocity is about an hour out! Bum's Rush and Kokopelli are going through Race Passage right now. Shamrock called earlier to say they decided to call the race and they are motoring towards Victoria. Stay tuned for more updates! Blade Runner, Siren, Passepartout, Desperado, and Wave Dancer have finished! Blade Runner, Siren, Passepartout, Desperado, and Wave Dancer cross the finish line during the 1800 hour. We had a photo finish with Desperado just edging out Wave Dancer by a few seconds! The next group of boats are approaching Race Rocks and we are expecting Ion very soon. Congrats to Free Bowl of Soup and Raindrop who are the latest to finish! Winds are picking up and we have five boats at Race Rocks right now. It's looking promising for more finishers in the next few hours. Free Bowl of Soup has made it through Race Passage and is slowly working their way toward the finish in very light air conditions. We are on station ready for their finish! Rose Petals finished under motor this morning around 0400 hours. Riva got stuck outside the Harbour for a while this morning, but finally crossed the finish line around 0600 hours this am. Rya is approaching the finish and should be finishing in the next 20 minutes. Panama Red called this morning and said they had to retire from racing and are motoring in after a couple of big knock downs that are worrisome for structural damage. 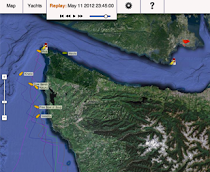 Looks like most of our boats have made the turn and are working their way down the Strait of Juan de Fuca! Stay tuned, trophies are still up for grabs in many classes! Anam Cara just crossed the finish and is sitting in a pretty sweet spot to get the corrected overall! Great job Tom Kelly and crew! Rage just finished around 20 minutes ago! Anam Cara just called and they are through Race Passage! Rage is about 45 minutes from the finish! Anam Cara, Riva, and Panama Red are in the straights and picking up speed. Rose Petals and Rya appear to be under motor. Aja and Souffle are having SPOT problems and are not being tracked since earlier today. 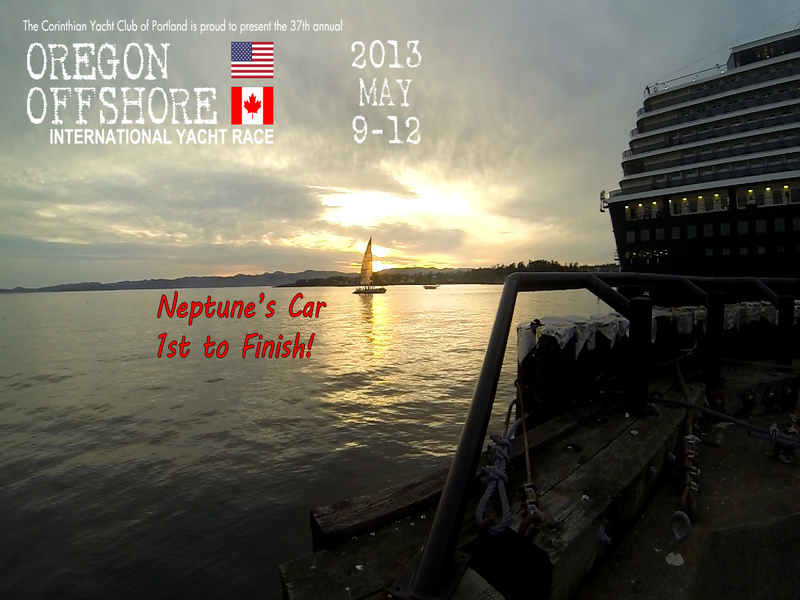 Neptune's Car first to finish the 2013 Oregon Offshore! Great job Paul LaMarche and crew! Just got a call a little while ago that Neptune's Car is an hour out! We don't see them yet, but are expecting them soon! Tracker is showing Neptune's Car at Sheringham Point doing 11 kts with a WNW breeze at 17 kts! A little update from the boys on Riva! Looks like they remain in good spirits despite the light winds, thanks for sharing, Chris! "Abeam Umatilla Reef. So far so good. Looks like we have come out of the night's toilet bowl in a decent spot..."
And the first to finish in the 2013 Oregon Offshore is... The Norwegian Pearl? Wait, I sure don't remember seeing that entry?! Just kidding folks! The wind looks pretty light out there this morning and the harbor looks like glass, so time for all of us landlubbers to pray for wind and do our wind dances to appease the wind gods to help get our sailors up the coast! Neptune's Car seems to have a nice lead on the race tracker! All boats are north of Grays Harbor and working their way up the Washington coastline. 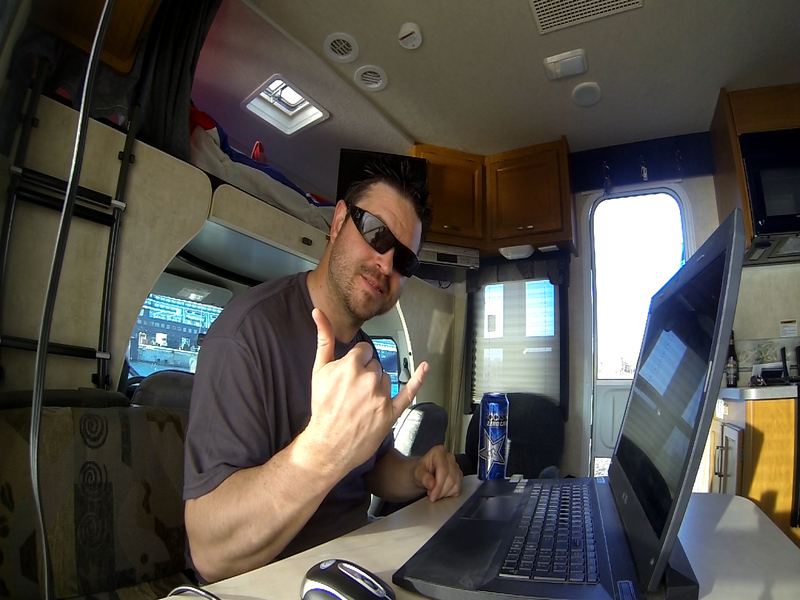 Stay tuned for more updates from the West Can RC Crew. We have arrived in Victoria, BC and are set up on Pier A of Ogden Point to finish the 37th Annual Oregon Offshore Competitors! We had 26 boats start this morning at 1005 hours and all boats are showing on Tracker. Check out the race tracker to watch their progress! More updates will be posted as information starts flowing my way. 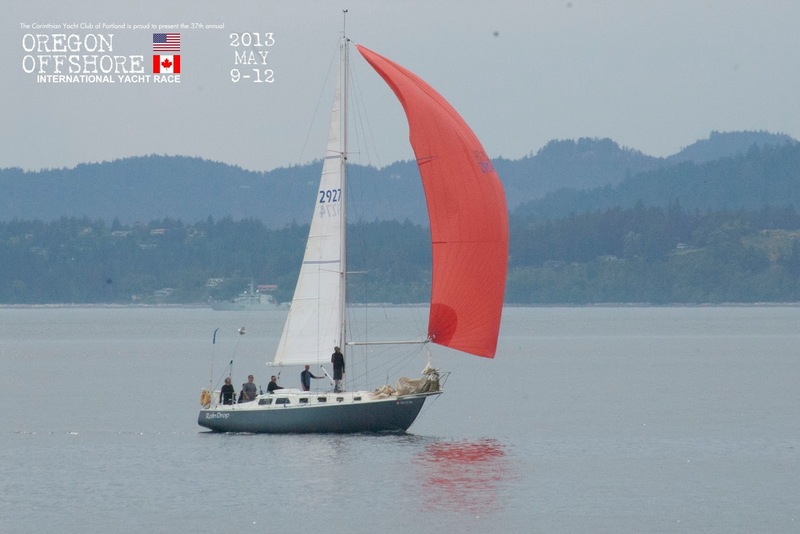 A big thanks to Steve White and all our friends at Royal Victoria Yacht Club for helping coordinate the finish line and getting us all set up! 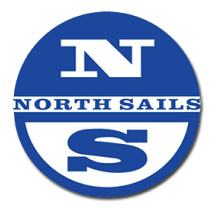 With less than 48 hours left until the start of this year's race, skippers can now find the Supplemental Sailing Instructions by clicking the link to the left. We've also posted a link to the US Coast Guard Light List, which includes updated navigational information for the Pacific Northwest. We just heard from skipper Steve Smolinske of the Catalina 38, Peregrine, and after fighting a huge headwind in the Strait of Juan de Fuca on his way south, he's recalculated his arrival time in Astoria. Rather than arriving at the Columbia bar at full ebb tomorrow night, he's decided to take this year off. Bummer. 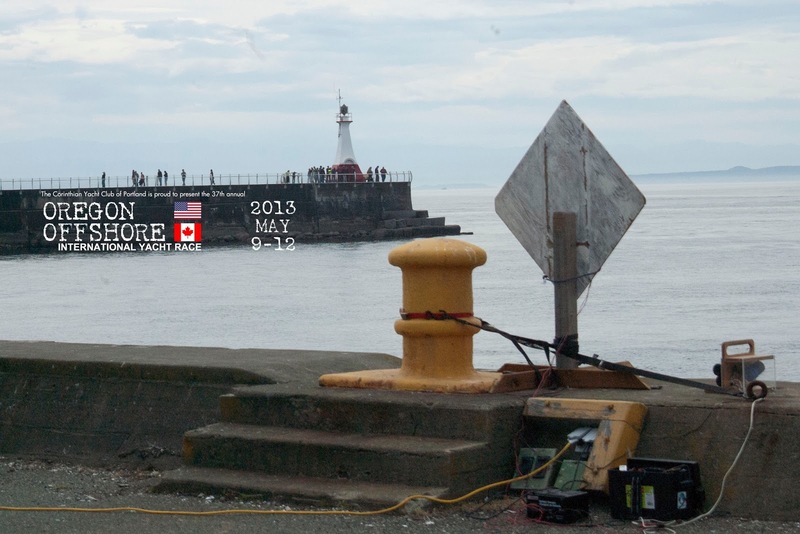 See you at Swiftsure, Steve! You may have noticed in the final revision of the Race Packet, we've selected a new location for our Skippers' Meeting this year. 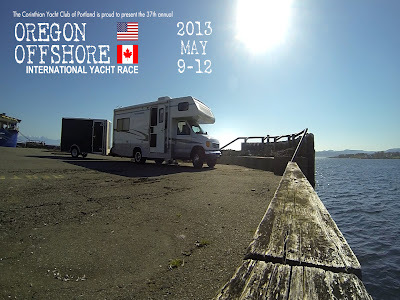 Astoria Yacht Club has generously offered to host us at their new clubhouse. Remember, every boat must have a representative at the Skippers' Meeting or face disqualification. We look forward to seeing you in Astoria! Update: Dinner will not be available at the Skippers' Meeting. There will be beer and wine for purchase. AYC Clubhouse - They claim to be further along with the remodel now.